My four days in Budapest seem like a long time ago now. In actual fact it was over a month ago! I honestly don’t know where the time has gone. 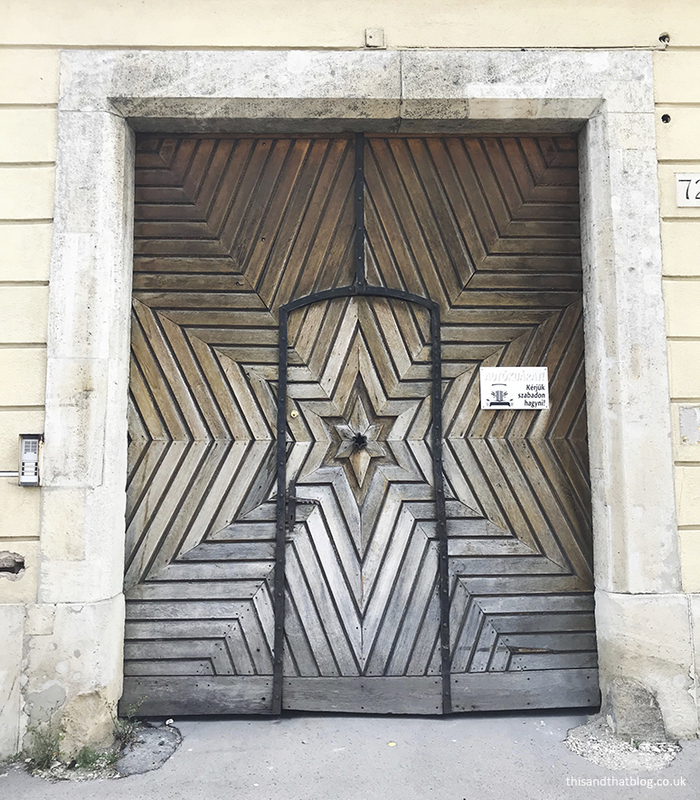 But I’m here now to finally share my thoughts on this Hungarian city. To start with let me say that I didn’t know what to expect from Budapest, we booked this trip four months in advance and yet I did very little research. I maybe spent an hour browsing online to get some ideas and then asked some friends their thoughts. Which, while helpful, really wasn’t how I wanted to prepare for this Budapest trip. But that’s just the way it goes. Luckily we had three and a half days in Budapest so we spent the first afternoon wandering around and getting our bearings, and then had a lazy first morning making plans for the rest of the time. If you’re travelling with a group of people to a new city it’s nicer to make plans once you’re there, rather than having one person dictate everything to everyone. Or at least that’s what I’m going with! 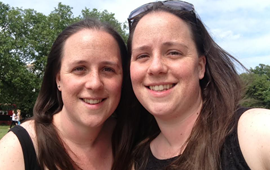 Rather than share everything about our trip I thought I’d highlight my favourite places. These are the parts of Budapest that I would recommend to other people if I knew that they were planning a visit. The House of Terror contains exhibits relating to the communist and fascist regimes of twentieth century Hungary. It’s also a memorial to the victims. The museum is housed in the same building that the secret police used during these regimes. The museum takes you through different rooms detailing what the victims of these regimes went through. I’m not going to lie, it’s a sobering visit. But I think it’s worth visiting to understand what Hungary went through in the not so distance past. I would say that the communist regime takes up a huge chunk of this museum, which while absolutely fascinating did have me questioning the unbalanced split. Buda Castle sits high on a hill on the Buda (west) side of the city, the whole area around the castle is called Castle Hill. You can take a funicular up to the castle or you can buy a ticket for a hop on hop off trolley bus that has stops going all the way up Castle Hill. This means you can jump on and off and fully discover the castle area. This is what we did. We also walked back down the hill once we’d finished as we couldn’t be bothered to wait for the bus or funicular. Castle Hill is filled with winding streets and colourful building. 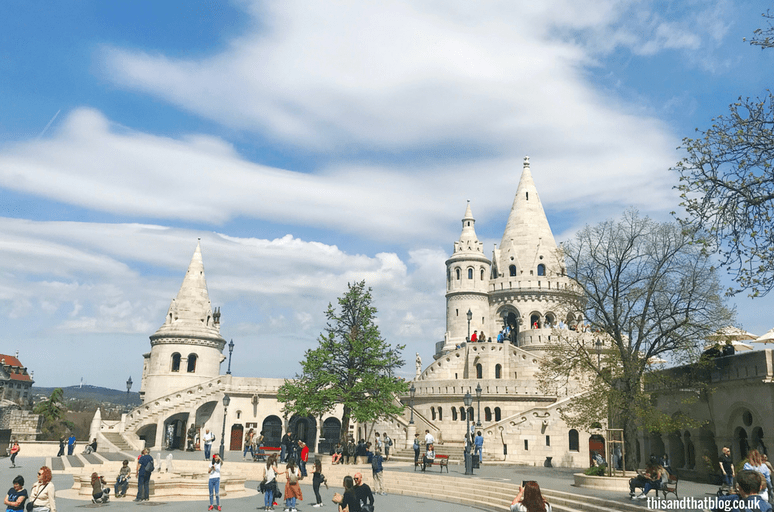 Along with Buda Castle there’s also the stunning Matthius Church and Fisherman’s Bastion. The views from the Bastion are stunning, you can see across the river to Pest and further afield. We spent a good two hours wandering the cobbled streets of the hill area and discovering all the marvellous things. Margaret Island sits in the middle of the Danube River which splits Budapest in two. With Buda to the west and Pest on the East. This island has only one road so it’s pretty much closed off to cars. Instead you can only cycle or walk around the paths of the island. There’s a thermal bath complex, a ruined chapel and plenty of parkland to uncover, if you do decide to explore. We visited when they were setting up for a half marathon the next day, so some of the paths were blocked. But we did find delicious ice cream, the ruins and plenty of blossom trees. Next time I think we’ll hire bikes and explore the island even further. 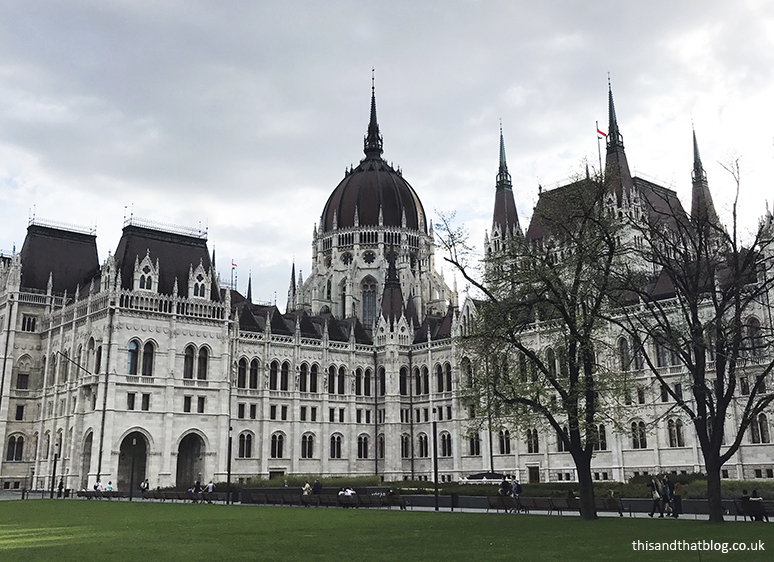 Hungary’s parliament building sits on the Pest side of the river. It’s a stunning gothic inspired white building with a red roof (the picture above!). Apparently it’s based on the British Houses of Parliament which makes sense when you compare the two. We didn’t go into the buildings but you can join guided tours to see the interiors. City park is a giant green space in the Pest part of the city. Right next to Heroes Square it has miles of tree-lined paths, a lake, a zoo, museums and also houses the Széchenyi thermal baths. It’s the perfect place to visit on a warm day. We ate lunch in the park overlooking people rowing around the lake on our first full day. The Jewish quarter of the city is a warren of roads filled with eateries and pubs. It’s an excellent way to spend an evening. We ended up eating in this area on two of our three nights in the city. The area is also well known for it’s ruined bars, basically abandoned buildings or lots, that have been turned into bars. The oldest and most well-known is Szimpla Kert, which also has a Sunday market which we stumbled into on our last day. We had planned to visit the ruin bar decorated with junk on Saturday night but on our way there we stumbled across Karavan street food and ended up eating and drinking there instead. I highly recommend you give this place a visit. So much good food. Now we’ve got the places out of the way here are a few other things worth mentioning. Walk, walk, walk. 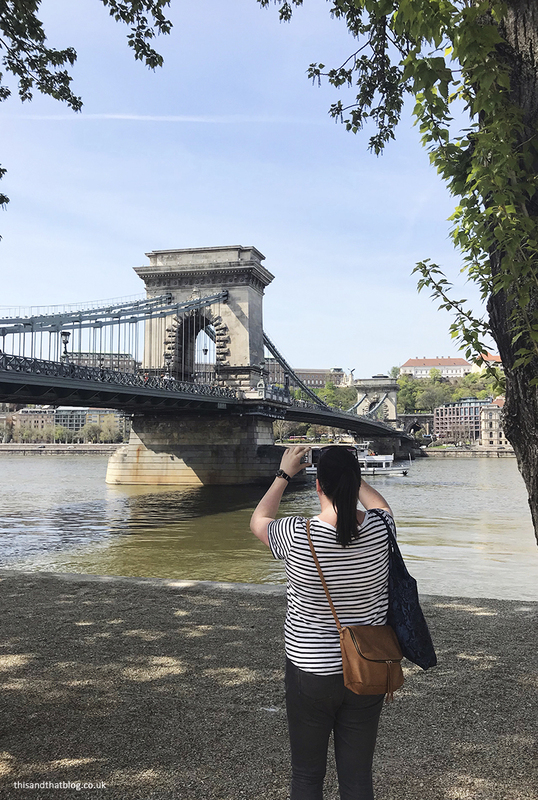 It’s a great way to see the city and Budapest is actually pretty easy to get around on foot. We did over 22,000 steps each day and that was with plenty of cafe stops and a chilled out morning/afternoon nap. Also, if you’re up for it then go for a run around the city, my dad and I went for an easy 2.8 miles on Saturday morning and it was a lovely way to see the city. We headed out just after 9am when the city was still waking up. Which meant hardly any cars and no people on the streets. We ran along the river, which is my favourite thing to do, and obviously stopped for pictures along the way. My Dad got so used to waiting for me that he even started pointing out good photo opportunities! It’s cheap. Like super cheap. For example a ticket to the House of Terrors museum is 3000 HUFs (Hungarian Florints) which is about £8. And I know that London museums are all free but £8 is a lot less than other museums I’ve visited over the years. Transport is also really cheap and you can buy batches of tram or bus tickets. Street food. There is so much street food in Budapest. From chimney cakes on street corners to organised areas in the Jewish Quarter. The highlight for me was the langos. This is what I went for on our last night when we visited the Karavan street food area. It looks a little like a pizza with a fried bread base and then lashings of sour cream and cheese on top. It may sound a little odd but it’s absolutely delicious and definitely worth trying if you visit.